I purchased a 63 type 1 about 5 years ago and I am finally getting around to tearing it apart and starting the long process!!!! I will take any tips or criticism you guys are willing to give me. My plans for this bug are to keep it mostly original with a few custom changes here and there. I am keeping the 40hp engine but plan on putting the 83mm pistons and cylinders on it. The car is pretty straight minus the fenders. I have a lot of work ahead of me and will pro a ly be asking a lot of questions so feel free to kick me out at any time!!!! ( please don't) Anybody with parts or anything they think might help me and keep me motivated then let me know what it is and how much you want for them. 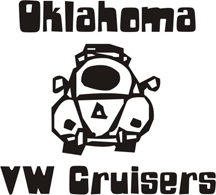 I look forward to getting to know some of you and getting to know the VW world that I have gotten myself into!!! Welcome! Don't have any 63 parts but there should be some around. I find attending the meetings helps one stay motivated. Thank you guys for the friendly welcoming!!!!! I am sure that I will soon be more active in the VW world because I k ow that is the only way I will stay motivated to keep going. As far as the stock parts go, that is exactly what I am trying to do. Right now I am working on getting the engine torn apart, rebuilt, and switched to 12v stuff. Then will come the hard part!!!! I have met Larry and the guys at Bethany and I am sure they will be seeing a lot more of me in the future. Yeah I know it!!!!! It hasn't been that I have not wanted to Jim, It has just been a lack of motivation!!!!!!!! Sorry I didn't make it by or call on Saturday, I got to messing around in the garage and lost track of time. I will give you a call sometime this week though. Oh and by the way I found a set of 83mm's so I am another step ahead!! !